AMD is aiming to please speed enthusiasts the world over by launching two new flagship CPUs. What's more, the company claims that the first of these, the FX-9590, is the first in the world available to consumers with a clock speed of 5.0Ghz. AMD is also launching the FX-9370, which lags ever so slightly behind its nippier sibling at a clock speed of 4.7GHz. Both of the new processors contain eight cores based on AMD's "Piledriver" architecture. Additionally, both processors are set to benefit from AMD's TurboCore 3.0 technology that focuses on optimising performance across CPU cores. The company is gearing up to supply the CPUs to OEMs and system integrators, who will build them into new machines, rather than selling them to consumers directly. It says the new processors are prime for overclocking and pave the way for computing enthusiasts to achieve higher speeds and performance gains. The semiconductor specialist is keen to remind the world that it smashed a similar speed barrier back in 2000, when it unveiled its 1GHz Athlon chip to the general public in May that year. 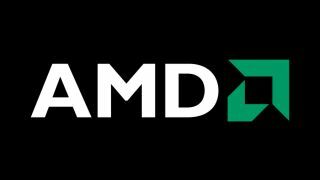 Anybody seeking entry to the AMD's latest speed show will have to stay tuned, however, as the company has slated a "summer" release for the new CPUs. No word yet on pricing, though. AMD has had to forefit the limlight in recent weeks to Intel, which released its energy-efficient 4th-Generation Intel Core "Haswell" processors. There are already 50 Haswell powered 2-in-1 ultrabooks ready to launch, so AMD may be feeling a little short of love right now.